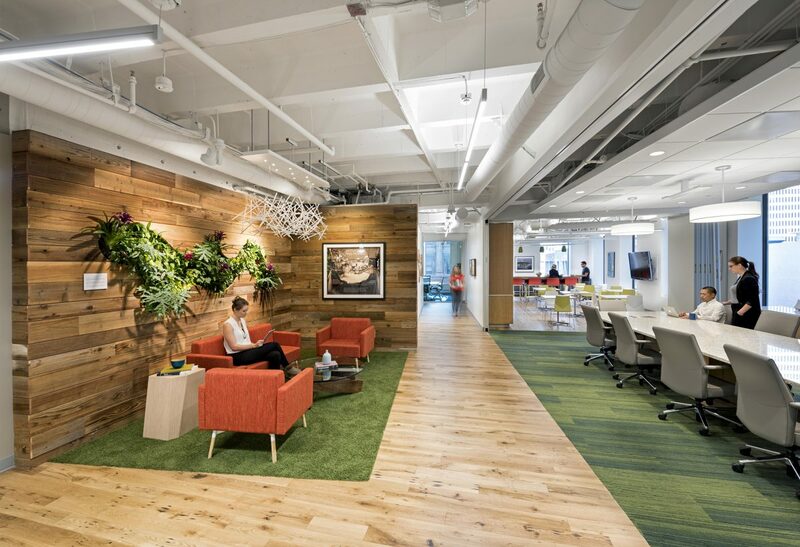 A space that reflects one bank's mission to connect and sustain. 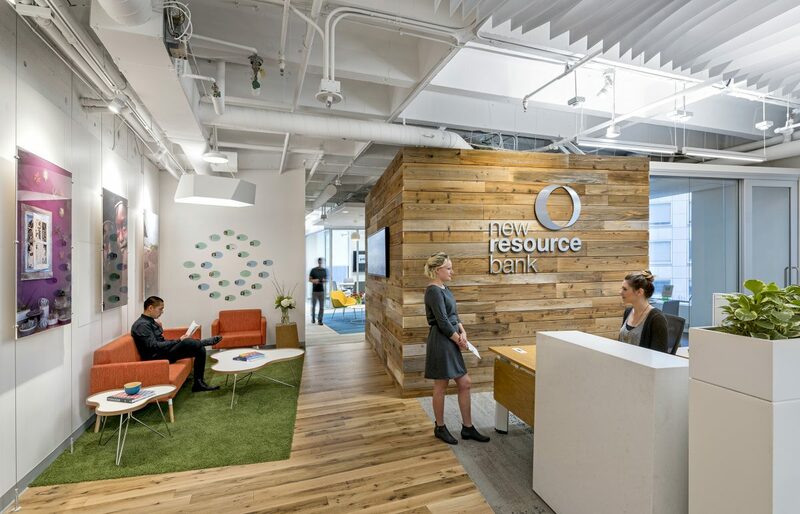 New Resource Bank takes a unique approach to the business of finance, with a mission to promote sustainability through their loan practices as well as their overall operations. 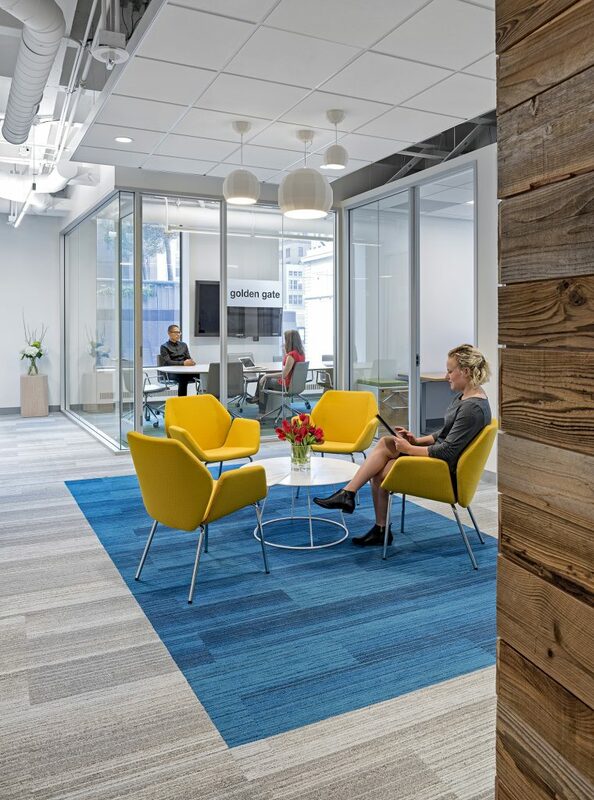 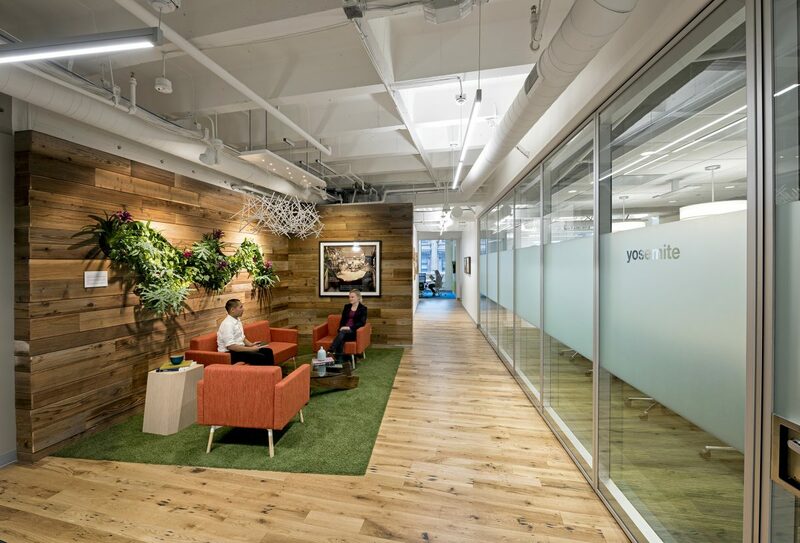 The bank’s new offices and bank branch in downtown San Francisco reflect this passion, showcasing a LEED Gold design that maximizes access to natural daylight. 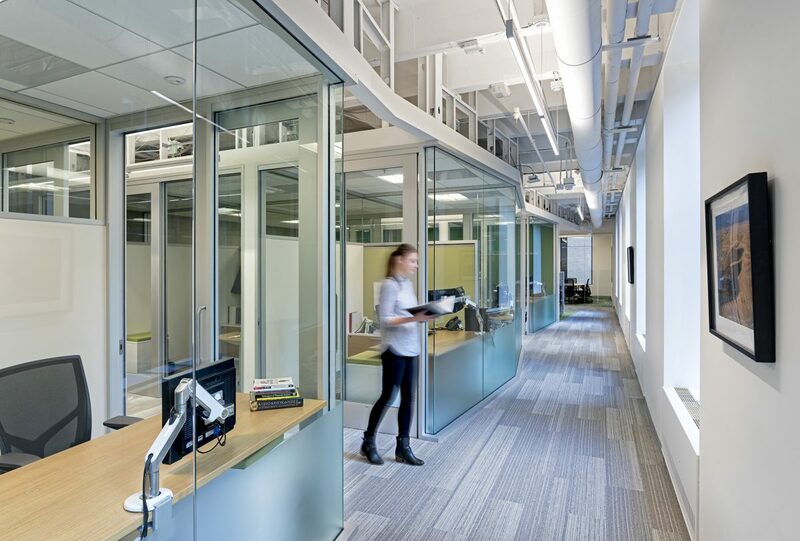 The 10,144-square-foot interior wraps around an elevator core, creating narrow floor spans. 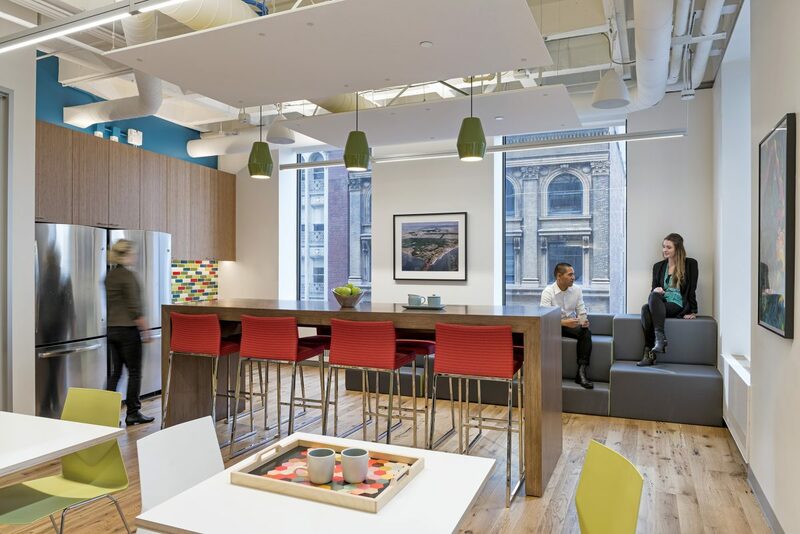 This, combined with the client’s desire for mostly enclosed offices, led to a concern that the space might feel confined. 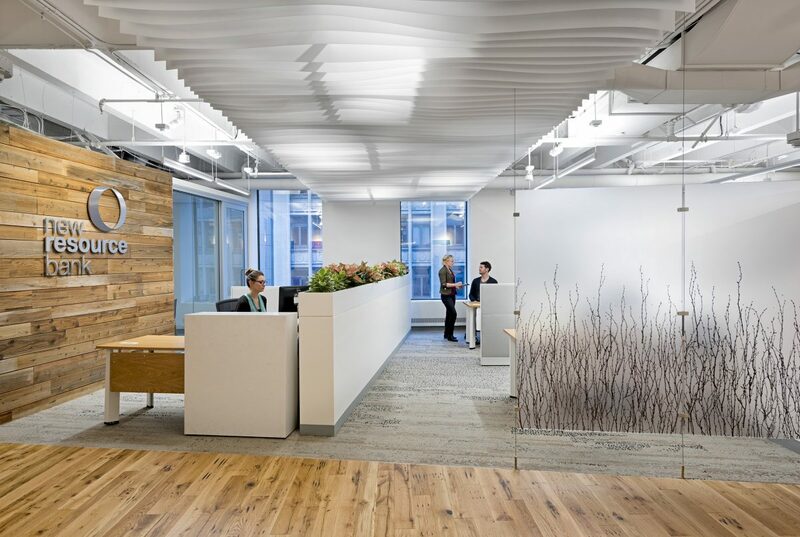 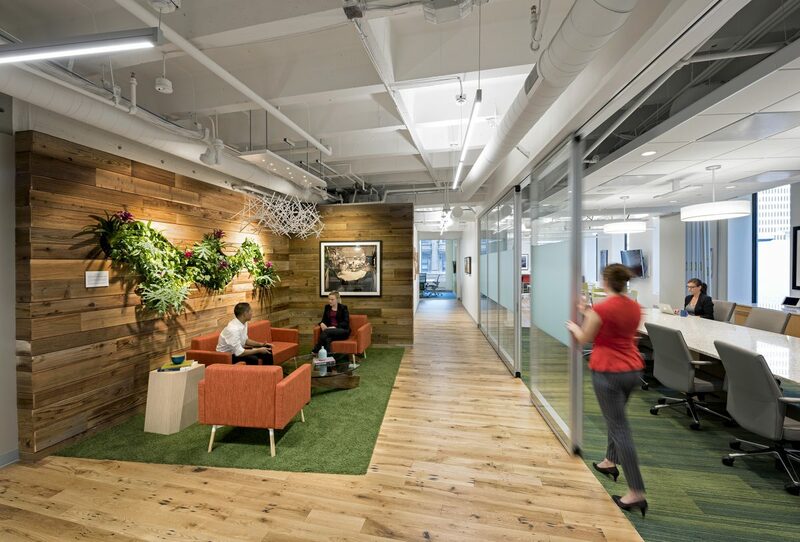 RMW’s interior design solution uses glass and translucent walls, white-painted open ceilings, and organic neutrals to create a sense of openness and flow. 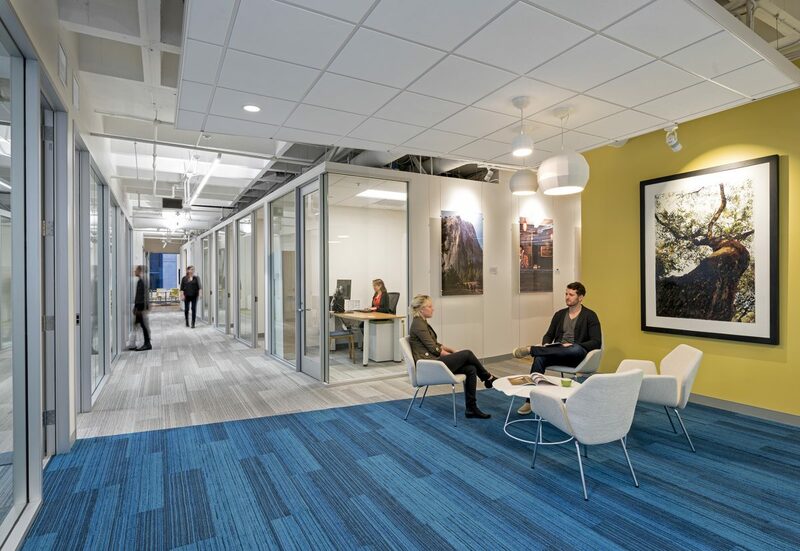 A lounge, employee breakroom, and conference room serve as the heart of the offices, with two folding walls that open up to create one large multipurpose area. 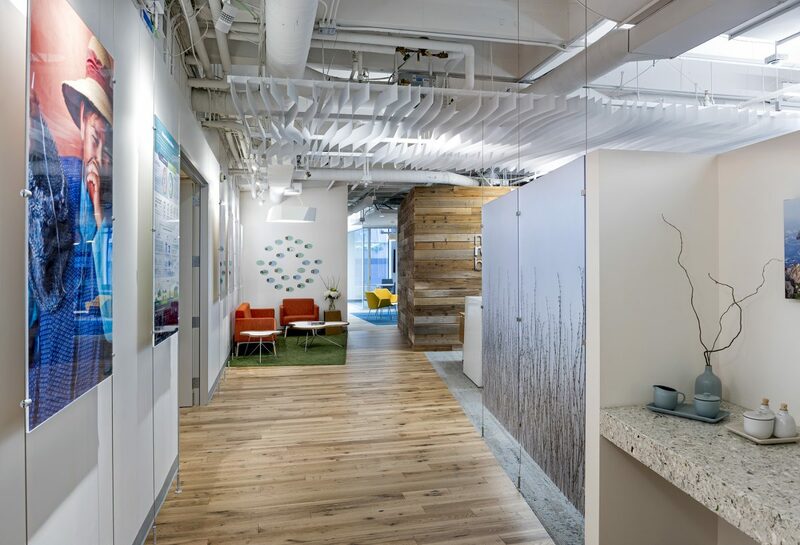 Many of the finishes used in the space, such as the formaldehyde-free bamboo cabinets from AlterECO and the kitchen backsplash from FireClay, are made by companies that are New Resource Bank clients. 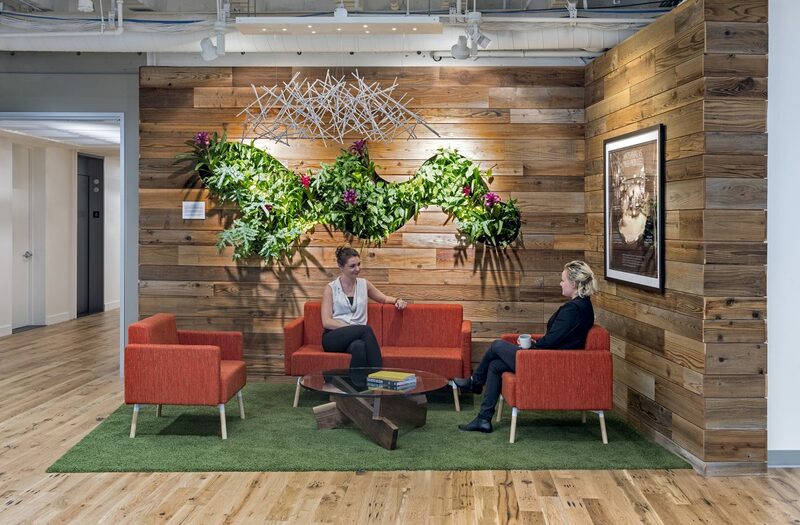 The reception area also doubles as a banking branch, decorated with, naturally, 3form Ecoresin “branch” panels!